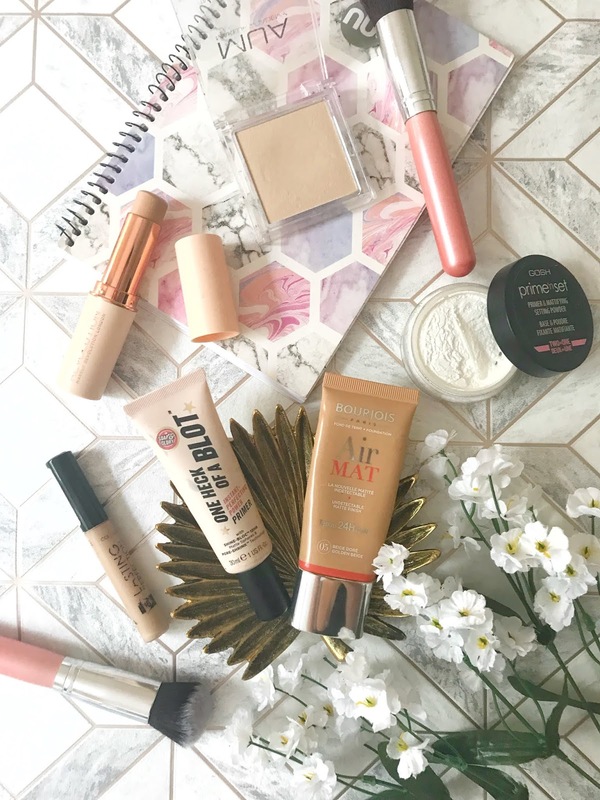 During the summer (especially this heatwave that we are having in the UK) I like to change up my foundation routine as it is so hot! 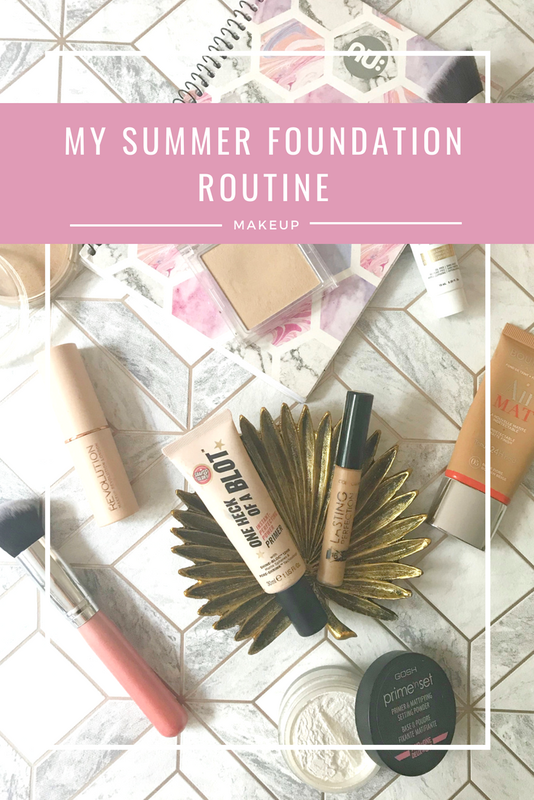 In this post, I will show you my two different routines and the products that I use to get my foundation look summer ready. For my day time routine I usually don't wear liquid foundation for work as it can be a little heavy. For this routine, I have a total of 4 different products to give me my foundation look for a hot summers day. For this routine I only use a select few of products that I know won't clog up my pores in the heat, I also wear these products together on holiday for a subtle foundation look. 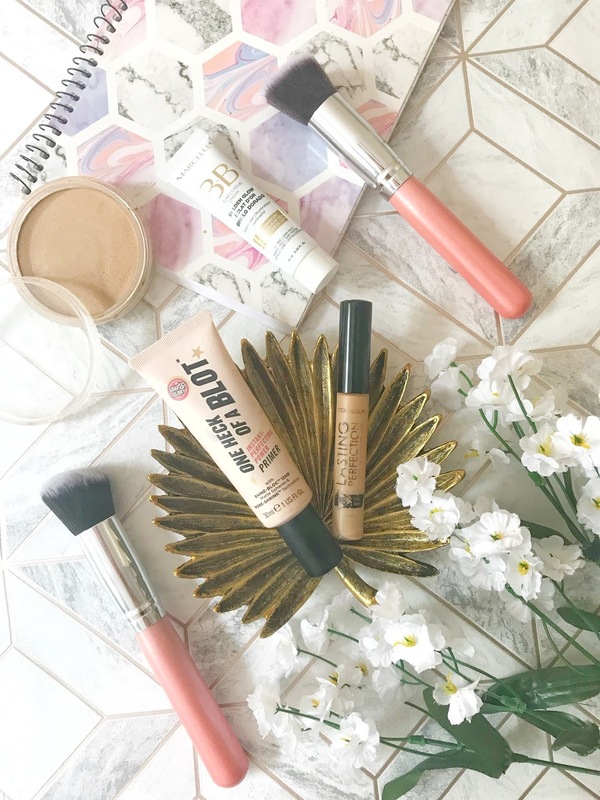 The first product I use this the Soap & Glory primer, I choose to use this one because of the pore filling action that it has, its also a really lightweight concealer as well making it perfect for the summer, this is always in my travel makeup bag. I also like to apply this primer with my hands and it blends in lovely. Once the primer is applied I then start with the BB cream which I discovered in my recent Birchbox and you can read that here. I use this BB cream because it just a really nice glowy product which just adds a bit more coverage to my look, this product is also really lightweight and you cannot feel it once its applied. I like to apply this with a foundation brush to blend into the skin seamlessly. After the BB cream has been applied I add my concealer, for concealing I use the Collection Lasting Perfection which I have added in my 5 Under £5: Concealers post (you can find out why its one of my favourites there), I use this concealer to conceal any stubborn spots or blemishes. The final step in this foundation routine is my Pressed Powder, I use the Jane Iredale Pressed Powder to add to the coverage of my skin but to also give me a matte look. This powder also has an SPF making it perfect for touch-ups on your face during the day. In this weather, I rarely like to wear a lot of makeup since it literally sweats off anyway (Sorry for that unpleasant image!) but during the evening when it starts to cool down I change up my routine. If I've got a night out planned or a nice dinner date this is my go-to routine. For this routine there are a few more products that I use to get my desired look, I also wear a liquid or stick foundation in this routine for more coverage. The first step in this routine is the same as in the first routine so I won't go into too much detail. I apply this primer with my fingers all over my face to make it smooth and pore-less before I apply my foundation. After I've applied my primer, I then decide between the two different foundations either my Revolution stick foundation or Bourjois Air Matte. They are both really great foundations and keep my oily skin at bay which is perfect for the heat. If in my more of a rush I will do for the Revolution foundation because it's just so quick to blend and if I want more of a matte look I got for the air matte. I blend both of these foundations in with either a brush or a damp beauty blender. Once my foundation is blended in nicely I add my concealer, with these foundations, I don't actually need a concealer just on stubborn areas and mainly blend it out with my finger. I have very creasy under eyes so I always need to apply a loose powder under my eyes to bake and set them and during the summer I got for the Gosh Prime and Set powder. This powder is a favourite of mine and has been for years, it keeps my under eyes crease free and set for hours even in this heatwave. After all of my other steps are complete I then have to set my whole face, I choose to use the MUA Translucent powder which is only £1! I have started using it a lot during the summer and have been loving it. I keep it on me at all times if a need a matte touch up. For the summer it is important that we change up our makeup routines so that it will look great and last us all day! Do you use different products during the summer? 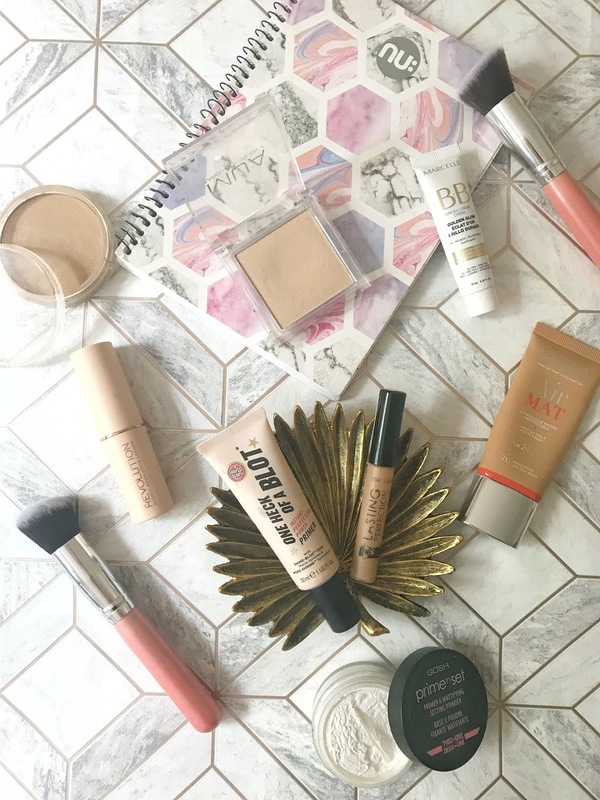 I use One Heck of a Blot as a primer as well after hearing so many people talk about how good it is. I use it mainly in the places where I get super oily and I can say that I really like it. It's so important to adjust your makeup routine for the summer because the heat affects your face and makeup differently! I love the products that you use! They don't break the bank and you keep it simple. Thanks for sharing your routine!